Who says you can’t teach an old exhibit new tricks? 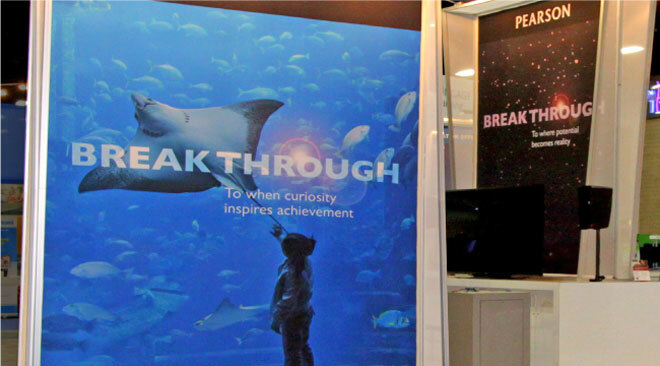 There are times when a trade show booth has to be scrapped and there are other situations where targeted enhancements can bring new life and vitality to existing exhibit architecture. 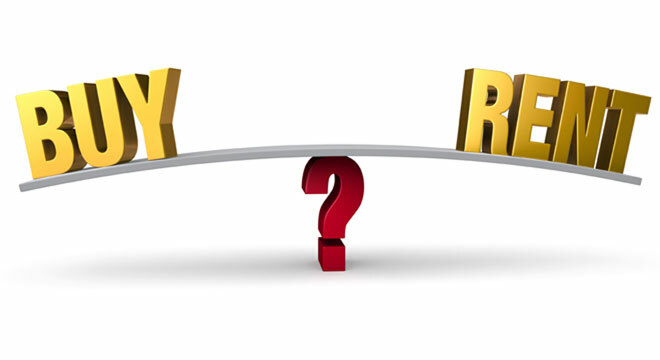 Knowing when an exhibit has outlived its viability or can be re-energized through modifications is an inevitable dilemma event marketing professionals ultimately face. 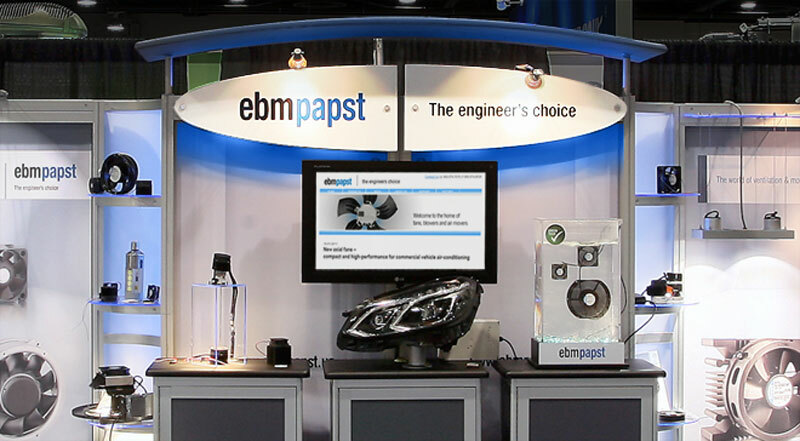 At LIGHTFAIR International, recently held at the Las Vegas Convention Center, the ebm-papst exhibit showcased several transforming features to its previous look. The booth has been in use for several years and the client wanted to create a more dynamic presence and freshen up its appeal. While the current branding and functionality of the architecture still have merit, there grew a need for added ‘punch’ that most exhibits will experience because of audience familiarity. To achieve the desired impact, DisplayCraft utilized different LED lighting techniques to add drama and visual interest to the overall space. Existing shelving was enhanced through the use of edge lit plexiglass. Each shelf now casts a corporate blue hue across the edges and draws further attention to the products being displayed. The center oval company branding elements now glow with recessed blue LED lighting that plays off the backwall and the arching fabric canopy overhead. This feature lends prominence to the ebmpapst brand via halo lighting effect that encircles the messaging. Each of the radius display units are more impactful through a ‘washing’ of the curved panels with blue LED lighting positioned behind the exhibit. The effect of this lighting treatment creates a sense of ‘depth’ to the panels which further highlights the products in front. Also, rear illumination provides a sense of drama to the products and calls attention to them. Integrated into the new “feature products” display cabinet is blue lighting casting a glow around the entire cabinet. This illuminated accent compliments the other lighting effects within the space and imparts a sense of unity among all the exhibits’ components. “I just wanted to follow up and thank you for the outstanding work you did for us on the new booth design which we debuted last week at Lightfair. Everyone on the ebmpapst team that was there all agreed that the booth looked fantastic, customers and booth visitors all loved it.